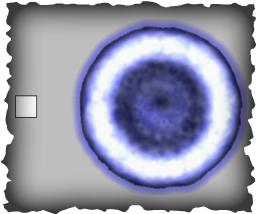 Description: The tutorial will cover basic teleportation from collision with a portal. It will also show how collision-masks work in GameMaker. Description: This tutorial will make you understand the very basics of GML in a platform game. It includes gravity. I will highly recommend it to beginners of GML. If you want to make platform games, this is the tutorial for you. Description: This tutorial will make you understand the very basics of a platform game. 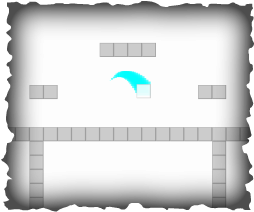 It includes gravity, ability to stand on walls, dangerous walls, rooms and goals. I will highly recommend it to beginners. I use it in almost all of my games. Description: This will teach you how to do parallax with GML. Actually, it's pretty simple, and done with a single script. Messy folders? Many different extensions? Sort them with a homemade batch! "Twitch Plays" is extremely popular at the moment. If you'd like to, here's how you can make your own comment-controlled stream. This guide will work out though a few applications, and is coded using Python. Python is very easy, so you should be able to understand what's going on, even if you aren't a skilled programmer. In this tutorial I'll show you how you very simply can load and save data. It's useful for remembering settings, health points, positions, coordinates and other variables. 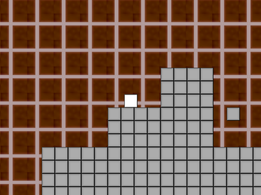 In this tutorial, we will make a platform game, that works only with physics. 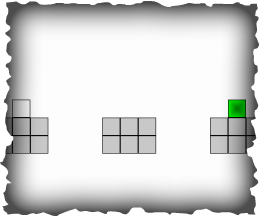 Or - not a game, but I'll show you the basic mechanics needed to make your own physics platformer game. It should give you a great overview of how physics are done in GameMaker, and if you're new, this is one of the places to get started, if you already know the very basics. If not, have a look further down.